In the summer of 1983, I was living at General Seminary in New York City, when a Trappist monk named Thomas Keating offered a course on a type of Christian meditation called “Centering Prayer.” I could not attend, since I was daily commuting to St. Luke’s Hospital on Manhattan’s Upper West Side for a program called “Clinical Pastoral Education.” But I was intrigued by what I heard from those who took the course. Before coming to faith in Christ, I spent years exploring Hindu and Buddhist forms of meditation. After becoming a Christian I often wondered how much of that experience was transferrable to a Christian context. “Centering Prayer” sounded like it was similar, while also grounded in the Christian tradition. So I read a couple of books on the subject. I gave it a try. It came easily because of my prior experience with meditation. Every day on returning from the hospital I would sit quietly in the seminary oratory before the Blessed Sacrament; I would close my eyes and recite my prayer word. Then one day a thought occurred to me. How was this effort to focus on the presence of God related to the Gospel—that is, to its story about very particular saving events in space and time? In what sense did it flow from the Incarnation of the eternal Son, and to the work that Christ accomplished on the Cross? To what extent was it determined by the revelation of God as Father, Son and Holy Spirit? How did it relate to the sacraments? with Christ. Begun in Lecto Divina (the prayerful reading of scripture) and other devotions and especially in the sacraments, our relationship with Christ moves to new depths and to new levels of intimacy as we grow in the practice of Centering Prayer. But what if one were to strip away the biblical narrative, the creeds and the sacraments, what would be the effect on this non-discursive “being in the presence” sort of prayer? Does one need to believe in Jesus to pray this way? If one did not believe in Jesus Christ, would this form of prayer bring a person to a saving faith in Jesus? Is faith in Jesus an essential aspect of this sort of prayer -- or is it “optional”? And does that matter? After twenty five years I am still asking that question. In the late 1990s a friend of mine returned from San Francisco in a state of high excitement. He had “walked the Labyrinth” on the floor of Grace Cathedral. He was a artistically-inclined adult in his late thirties. Raised as a Roman Catholic, he no longer attended church, but he retained an authentic spiritual yearning. The Labyrinth offered a spiritual avenue that seemed to him to be a perfect fit. A labyrinth is a geometric pattern that inscribes a single path leading circuitously to its center. Advocates of the Labyrinth stress its ancient and cross-cultural character. An ancient labyrinth has been found in Crete (where Theseus encountered the Minotaur in an underground labyrinth in Greek mythology). A number of medieval European churches and cathedrals have labyrinths laid into their stone floors, the most well-known of which is at Chartres Cathedral in France, and is the prototype for the popular labyrinth at Grace Cathedral in San Francisco. One can certainly appreciate how the task of staying focused on the path of the Labyrinth might quiet the mind. One can understand how the renunciation of a direct route to the center in favor of the circuitous path might foster an attitude of patient openness. A person could certainly walk the Labyrinth while reciting a psalm or the Lord’s Prayer, praying extemporaneously, or simply walking in an attitude of silent receptivity to the triune God. But again, what if one did not bring any explicit Christian intention to one’s pilgrimage though the Labyrinth? Some have said that this is precisely the beauty of the Labyrinth; it is cross-cultural and inter-religious – anyone can do it. Advocates speak of the Labyrinth as “an archetype, a divine imprint,” which points to its supposed universal character, rooted in what the psychologist, Carl Jung, called “the Collective Unconscious.” They speak of walking the Labyrinth as an opportunity to reconcile and transcend religious differences. But if this is the case, what is distinctly “Christian” about it? 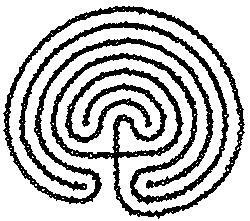 Much of the language used by enthusiasts of the Labyrinth is strikingly “Gnostic.” Gnosticism was a 2nd century movement on the periphery of the early Church that shifted the focus of salvation from the atoning death and resurrection of Christ to the attainment of spiritual self-knowledge, and the rediscovery of one’s own inner divinity. There were both Christian Gnostics and non-Christian Gnostics, but the telling fact is that they both believed the same things. 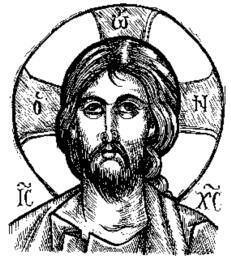 They differed only in so far as Christian Gnostics had adapted Christian imagery to the Gnostic program. For Christian Gnostics, Jesus was a teacher of wisdom, similar to the Buddha, and the biblical narrative – including the crucifixion and resurrection – was merely a collection of metaphors pointing to the journey of inward self-discovery. In this emphasis on divine self-knowledge, Gnosticism was the original form of “Jesusoptional” religion. restore us to fellowship with Himself. Christians should be wary of any form of prayer that is not rooted in the saving work of Jesus. A practice of spiritual inwardness and self-discovery to which the fact of the cross and resurrection of Christ is peripheral at best may bring with it certain psycho-spiritual benefits, but it is not Christian prayer. While a Christian may certainly “walk the Labyrinth” in prayerful manner, I am not convinced that at its core the Labyrinth has anything to do with the Gospel, while at the same time it has clearly been assimilated into the Gnostic tendency of much contemporary spirituality. One should also be skeptical of claims that “walking the Labyrinth” is the recovery of an ancient Christian practice. It is not clear what the function of medieval labyrinths may have been, apart from ornamentation. Even the Rev. 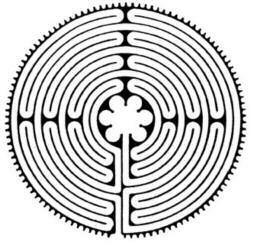 Dr. Lauren Artress, one of the leading advocates of the Labyrinth, admits that there are no historical records of anyone “walking the Labyrinth” in the medieval period, nor do any Christian writers of the time refer to it. I affirm the contemplative aspect of Christian prayer. We can be much too “chatty” with God, and if we fail to quiet ourselves from time to time and just listen, we end up talking to ourselves and, ironically, shutting God out. Over the years I have benefited by learning to be still and wait upon God. The key to this sort of “waiting” or “listening” prayer, is to recognize that it is not a “technique.” It is a way to relate ourselves in a personal manner to the Living God, on the basis of our baptismal incorporation into Christ. Despite reservations about “Centering Prayer,” I am thus prepared to give it a pass, so long as its use is firmly grounded in a biblical and sacramental context. Apart from these things, the practice of Centering Prayer can drift into an unfocused spiritual inwardness in which Jesus is – again – optional.